Every year my family does a craft project around the Christmas table. This year we're decorating picture frames. I'm supposed to buy the supplies. Except I've never done this before and I don't know what to get. Help. My idea is to buy unfinished 5 x 7 frames from a craft store and either paint them or cover them with fabric, then apply decorations like snowflakes and glitter and stuff. How long would paint take to dry before we can apply decorations (probably with glue guns)? Is fabric a better option? How difficult is that? I am open to anything, it just needs to incorporate a picture frame. In previous years, we've made snowmen out of socks, mini christmas trees and mini wreaths. There will be six adults, a teenager and a 9 year old. The 9 year old and her mother are frequent crafters, the rest of us have very little to zero experience (apart from Christmastime). I need to buy this stuff today, in person, in Milwaukee. I have money to spend but I need to keep my expenses down. We have Michael's and probably other craft stores but I don't know what they are (Hobby Lobby is out of the question). Mod Podge. Colorful craft paper and fabric. Glue gun, Ailene's Tacky Glue (get the clear stuff). Maybe washi tape? If you can get to a dollar store, get frames there (so cheap). Supplies: Michael's, Joanne's. I hate Hobby Lobby, but they would have what you need, and Wal Mart would have a lot of it. 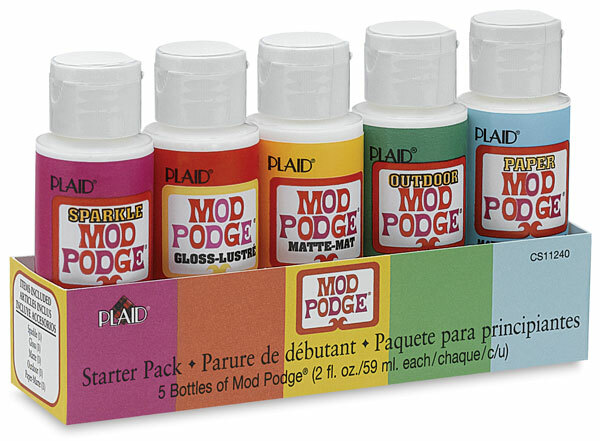 If I were you, I'd go to Michaels and buy some different varieties of Mod Podge. It comes in different textures and finishes, and it dries VERY quickly (less than an hour?). Michaels also stocks every scrapbooking item known to man - pens, patterned paper, glitter, hole punches, stamps, ink... plus yarn, fake flowers, embroidery floss and small amounts of fabric. Depending on how many people you have at the table, I'd buy 2 or 3 of each item. Should be enough. I've done frames with just glitter glue. It works more or less like paint, looks amazing, is cheap, very seasonal, dries super fast and then you can either just add stuff by sticking it into the wet glitter glue or use a glue gun to add bigger things. Hot glue gun is probably a must although the mod podge idea is a good one as well. I wouldn't try to cover them completely with fabric - it will wrinkle and not look perfect and that can freak out some kids. Michaels has TONS of stuff to glue on them; look in the mosaic aisle for glass beads and tiny glass tiles and stuff like that. Super fun! Seconding the idea to get stuff like mosaic tiles and gemstones to glue on. You should be able to find things like that at a craft store like Michael's. I'd buy unfinished frames, sharpie paint pens, glitter spray paint and beads. You can't screw up beads! Hot glue the beads onto the frame. You'll probably be able to find some holiday shaped beads too. Various wood cutouts or foam stickers can be found a craft store too. Cutting interior corners with fabric is a pain. I'd forget about fabric. Paint is easier. Easier than regular paint is spray paint. Glittier than regular spray paint is GLITTER SPRAY PAINT. It's pricier but very cool. Bonus: you don't risk handing a kid a bucket of glitter and finding sparkles throughout the house for the next 18 months. I'd try and spray paint the frames today. Its fast, and finishes much smoother than brushed on paint. Just disassemble your frames, put them on some cardboard outside and spray 2 coats from 6-8 inches away with 15 minute dry times. Be aware of wind directions. Try to do it today so it'll be less smelly by Christmas. If you do end up going with acrylic craft paint, just use thin coats and it should be fine in 40 minutes or so. Leave it to dry on wax paper, so it won't stick. Dollar stores would have most of these supplies too. Also, a way to keep expenses down would be to have partners work on the project. You probably don't need 8 glittery picture frames when 4 would do it. Fabric works best with padding underneath, so you might want to not bother. I'd buy fabric flowers, little ornaments, hot glue (if you already have a hot glue gun or two), letters (look in the scrap-book section for lots of stickers, etc.) and cheap frames. You don't have to decorate the whole frame--even just a corner or the top can be enough. Michaels Pro Tip: If you don't use the weekly 50% off one item coupon (plus whatever other deals they're running), you're paying too much! Get a bag of those tiny pinecones that are under an inch long. Craft paint dries fast. Acrylics are fine. Small disposable foam brushes are good and cheap for painting. Glitter. Glue. Depending on your snow cover, maybe gathering a few things from outside? Twigs, birch bark, etc. Michaels will scan the coupon from your phone, no need to print it out.